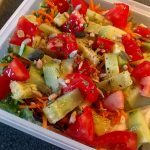 This week, I wanted to continue to do some salad with some cereals base. 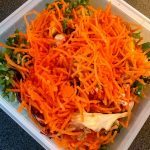 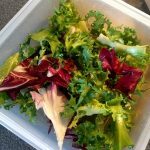 It is a way to change the usual salad and it is also a nice way to make some space in your cupboard (for buying new staff to try). 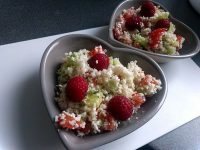 I am going to share with you a new lunch box recipe based on couscous. 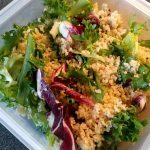 This recipe using cereals was made the same week as the one that I shared with you: quinoa and bulgur salad with avocado and fresh grapes. 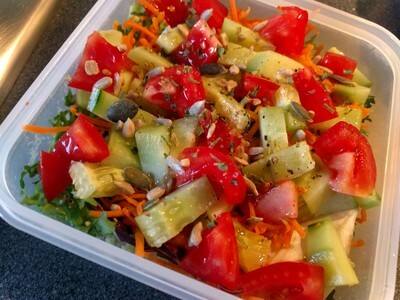 Adding cereals to salad is a nice way to have salad more filling, so usually, you don’t need a snack later on. 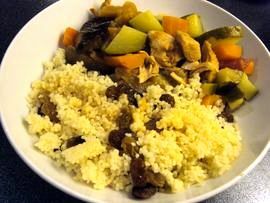 The value added of the couscous is that it is really quickly cooked and it cools down quickly as well. 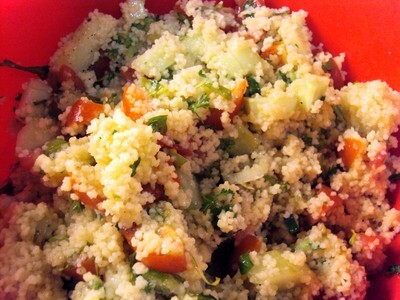 How to make a Lunch box: salad with couscous, carrots, cucumber and tomatoes?